Non-Traditional Book Publishing for Independent Authors. Regina Calcaterra is the New York Times best-selling author of Etched in Sand. It’s a true story memoir about five siblings who survived an unspeakable childhood on Long Island. Regina was inspired to write her own memoir in part because she read The Glass Castle by Jeannette Walls when it was published in 2005. It was the first memoir Regina had read about someone wrote about a horrible tragedy without being a victim. Etched in Sand is Jeannette’s memoir about growing up in poverty with parents who are mentally ill. It tells the story of how she and her siblings coped and grew up in that environment. Jeannette’s memoir can be difficult to read because of what happens to her and her family. It struck Regina that Jeanette’s memoir was written without pity or victimization. Once Regina had the idea to write her memoir it always stayed with her. She decided to take the plunge years later, and she signed up for a workshop put on by The Gotham Writers in New York. She took three classes on how to write a memoir. Over those three classes, she wrote the first four chapters of her book Etched in Sand. During the classes, she bonded with a group of writers who decided to meet every week at whole foods in Manhattan, keep writing and critique each other’s work. Critiquing the writing of her peers and getting critiques from them was the most important part of Regina’s learning process. Regina worked on the first four chapters of her book for years. In July 2011 a friend of hers set up a breakfast for her and three other women at Michael’s, a place in New York City where a lot of people in the world of traditional publishing go to eat. One of the women at that breakfast was Lisa Sharkey, the VP of strategic development for HarperCollins. Another lady at that breakfast was a book agent. During that breakfast, they went around the table and each woman told a little bit of her life story. The book agent told Regina that she wouldn’t be able to sell her story because she didn’t have a platform. The book agent didn’t believe Regina’s story would go anywhere. Lisa Sharkey told Regina to ignore the advice of the book agent. Lisa said that Regina had an important story that needed to be told. They set up a meeting to review Regina’s materials. Regina asked Lisa if it was okay if they meet in September of that year. The weeks from July to September to research the publishing industry and make the best first impression she could. In her research, Regina discovered the book How to Write a Book Proposal: The Insider’s Step-By-Step Guide to Proposals That Get You Published by Jody Rein and Michael Larsen. She read the book and spent two months of writing the best book proposal she could. Regina crafted a book proposal based on Michael Larsen’s book. She spent a lot of time describing her platform in her book proposal. Regina was well known in the New York area, and she’s done a number of cable news shows as a commentator. She really spent a lot of time thinking about every single constituency she could put into her book proposal. The different groups of people who might be interested in your book. The size of the different groups of people who might be interested in your book. Why different groups of people might be interested in your book. When you can clearly and concisely describe those three elements, you’ll have a good handle on your platform. Another area Regina focused on when putting together her book proposal was her comparable books. Traditional publishers want a list of comparable books that did well, and they want to know why your book is going to do as well or better. Regina sees selling a book to a traditional publisher like being a contestant on Shark Tank. You have to be able to prove the value of the product you want to put on the market. You have to be able to show traditional publishers why they should give you money. After Regina detailed out her platform in her book proposal, she included the four chapters in the book she’d already written and an outline of the rest of the book. Lisa Sharkey was impressed with Regina’s book proposal but she was unable to win over the HarperCollins publishing committee at first. Lisa invited Regina to a meeting at HarperCollins offices to meet with one of their top publicists. When Regina told the publicist her story the publicist began to cry. Armed with an ally, Lisa was able to convince the HarperCollins publishing committee to give Regina a book deal. HarperCollins offered Regina a very tiny advance on her book because she was an unknown quantity in the traditional publishing world. She briefly thought about trying to sell her book to another publisher, but in the end, she decided to stay with the people who believed in her. Lisa Sharkey wanted someone to work with Regina through the editing process. Regina ended up spending most of her advance on her editor because she felt it was an investment in her future. Regina finalized her book deal in April 2012. The book was due to the publisher by October. She worked full time as the chief deputy to the Suffolk County administrator while she was writing her memoir. She only had four chapters written when she signed her publishing deal, and she turned in one chapter a month between April 2012 and September 2012. She ended up getting an extension on turning in her book because of hurricane Sandy. When Etched in Sand was published in 2013, it became a New York Times bestseller three weeks later. It has been featured on a number of national broadcasts including CBS Sunday Morning and Inside Edition. The New York Post, People Magazine, and Newsday have all published articles about the book. High schools and colleges across the United States are using Etched in Sand as part of their curriculum because it has so many messages in it. Regina is one of five siblings. Her mother was a mentally ill woman who dealt with her mental illness by self-medicating with alcohol and drugs. Regina’s mother had five children by five different fathers. None of those men stuck around after the children were born. Regina and her siblings grew up on the fringes of society. Her mother would find the children a place to live and abandon them for weeks at a time. Periodically Regina’s mother would return and register Regina and her siblings for school. That never lasted long because Regina’s mother usually had several warrants out for her arrest, and she was afraid that the police would find her through her children. Regina’s childhood education was divided between public schools and public libraries. Regina and her siblings became very close. They always tried to make where they were living a happy and positive place. They always tried to shield their younger siblings from the harsh reality of their lives and the abuse that was taking place. Regina survived her childhood and chose to do the work necessary to be successful in life. She graduated high school and college and went to law school at night. One of the benefits of Regina’s childhood is the unique perspective on pain, suffering, and hardship it has given her. She experiences setbacks and heartbreaks like the rest of us, but she never spends more than two days feeling sorry for herself. She always remembers where she came from and how far she’s come. When she was going to college in the 1980s, 2% of the children who grew up in foster care were successfully graduating college. Today 3% of children in foster care go on to graduate college. Regina has always beaten the odds. Regina is a successful lawyer with a good job. She owns a house, and she never goes hungry. Most importantly, she has 12 nieces and nephews who were raised in loving homes by her siblings who also broke the cycle of abuse. Throughout her childhood, Regina was being told by adults that she was going to grow up to be a drug and alcohol addicted mother who was in and out of jail. Adults were convinced she was going to repeat the pattern because that’s what children in foster care usually do. Other children were always told to stay away from her because their parents knew she was homeless. The only way to break that kind of negative cycle or any other behavior pattern is to make conscious choices that lead to different results. Even though Regina never had a consistent parent or adult in real life to look out for her and encourage her, she had many positive role models in her life from teachers, to librarians, to parents of friends who invited her into their home. All of those positive role models gave Regina an idea of what her life could be like. That’s why she wanted Etched in Sand to have a positive message for society. She wanted her audience to read it and understand that it is possible to be successful after surviving such a difficult childhood. Etched in Sand gives its audience perspective on their life, and shows them how they can help children in need. For the most part, Regina found that writing her memoir was a joyful process for her. She enjoyed reminiscing about all the crazy things she and her siblings did to survive and stay together during their childhood. They often hid from the authorities. They always made sure to keep their stories coordinated when they were questioned by authorities, so they wouldn’t go into the system and be separated from each other. The hardest part of writing Etched in Sand for Regina was telling the story of her sister Rosie and how Rosie was kidnapped and taken to Idaho by her mother. She cried writing that chapter. Girl Unbroken is the sequel to Etched in Sand. It tells the story of Regina’s younger sister Rosie and what happened in her life after her mother kidnapped her from foster care and brought her to Idaho. Writing Girl Unbroken was therapeutic for Rosie. It allowed her to own her story and take back the power from the person who victimized her. Write your book proposal yourself. When you write a memoir you are the product and when you are the product, no one can sell the product better than you. 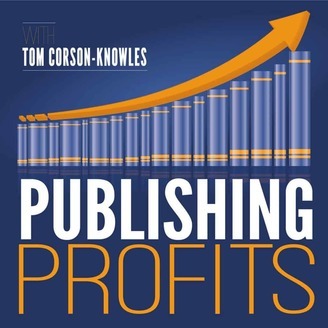 Your book proposal is going to show what your marketability is. 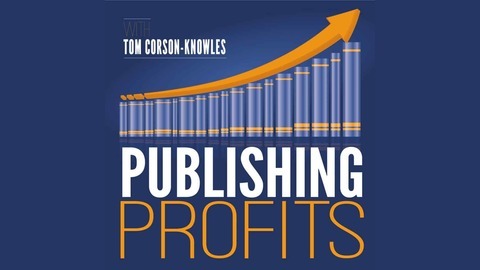 Read Michael Larsen’s book on how to write a book proposal. Follow the instructions in that book as closely as you can. If you don’t have a platform now, start building a platform while you’re writing your memoir. Start reaching out to community organizations. Start writing opinion editorials for newspapers. Regina wrote a lot of opinion editorials to build her platform. In today’s world, you can build a platform by writing for your own blog and building an audience on social media. Medium is another place where you can write and find an audience. Push your name out there and use your efforts as evidence of your platform. Your platform isn’t about convincing New York your book will sell. It’s about convincing New York that you will sell your book. Regina hasn’t stopped selling her books since the day she sold them to New York. She works full-time as a lawyer during the day and travels throughout the year to make audiences aware that her book exists. If you try to put your messages into your first draft you’ll end up writing a story around messages and it will be fake. Another way to make sure that your story has the impact you want is to write an epilogue that emphasizes the message you want people to take away from your story. It’s important when you’re writing a story to show your reader the world you are writing about, don’t tell them about it. Regina learned to be a better storyteller by rewriting chapters and getting feedback from her writing group. It’s important to get feedback from readers when you write a memoir, because you may think you’ve described a scene when in reality your memory is filling in gaps on the page that you don’t see. Rely on the skill set of others. Take constructive criticism positively. Jeannette walls inspired Regina to write her own memoir. Lisa Sharkey is the VP for strategic development for HarperCollins. Gotham writers workshops – learn about workshops in New York and online they can help you advance in the craft of writing. https://medium.com/ – you can start a blog on medium and gain a following.